READY NOW! 10 Texas-sized Garage extension for Storage & Toys! 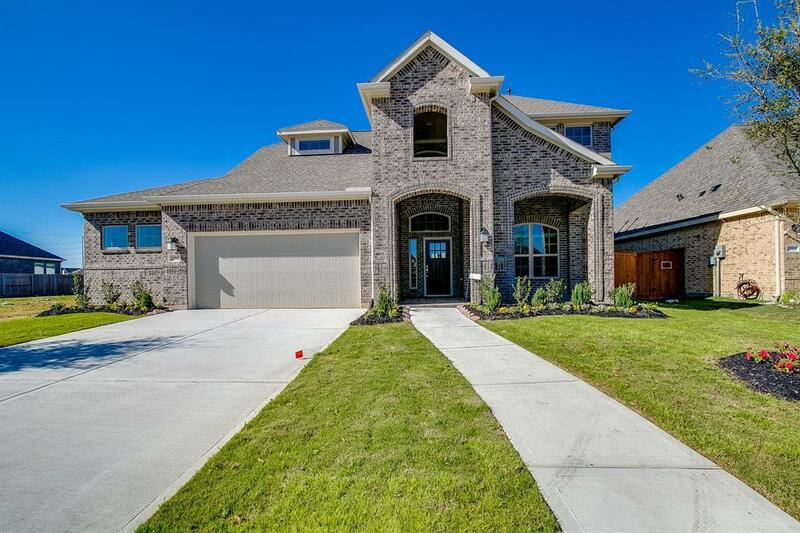 Youll LOVE this NEW Chesmar Home on Private Lot! Open-Concept 2-Story w/ 2 Bedrooms + 2 Baths on 1st Floor & 2 Bedrooms + Full Bath + Game Room on 2nd Floor. 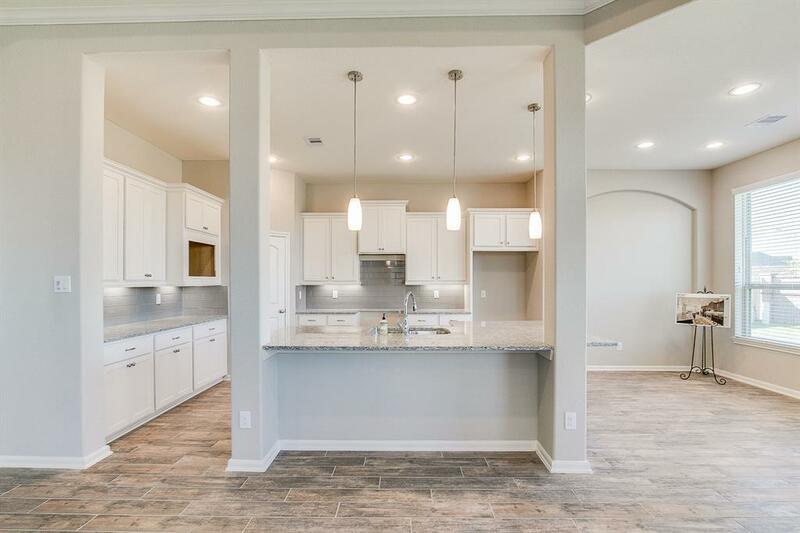 Gourmet White Kitchen w/ Shaker-Style Cabinets galore, a floating Kitchen Island, Under-Cabinet & Pendant Lighting, as well as Upgraded Stainless Appliances + French Door Refrigerator + 5-Burner Gas Range w/Griddle feature. Covered Patio perfect for lounging & dining. 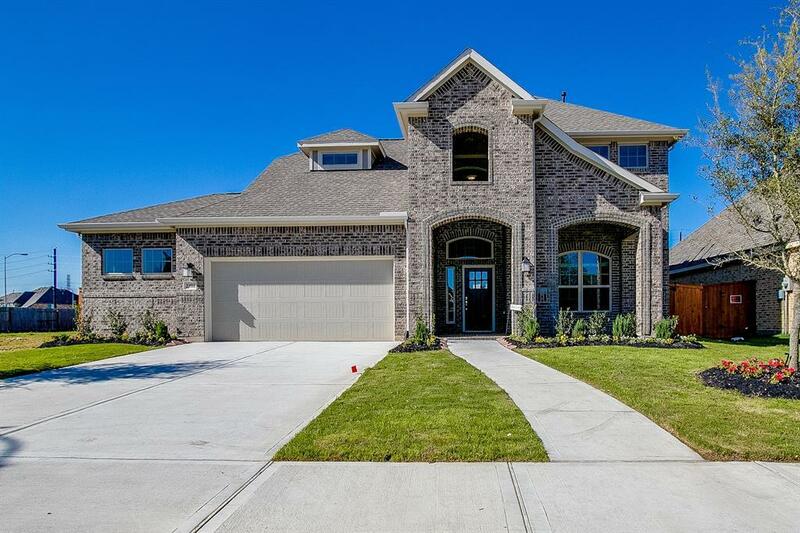 Relax in your private Master Suite featuring a beautiful bathroom w/Framed Mirrors, Soaker Tub, Separate Shower w/ Granite Seat, His & Her Vanities, & HUGE Walk-In Closet. Designer Wood-Like Tile at Entry, Halls, Family, Kitchen, Breakfast & Dining. Upgraded Carpet. Game Room Surround-Sound Ready! Diamond-level Energy Saving Features will SAVE YOU MONEY! 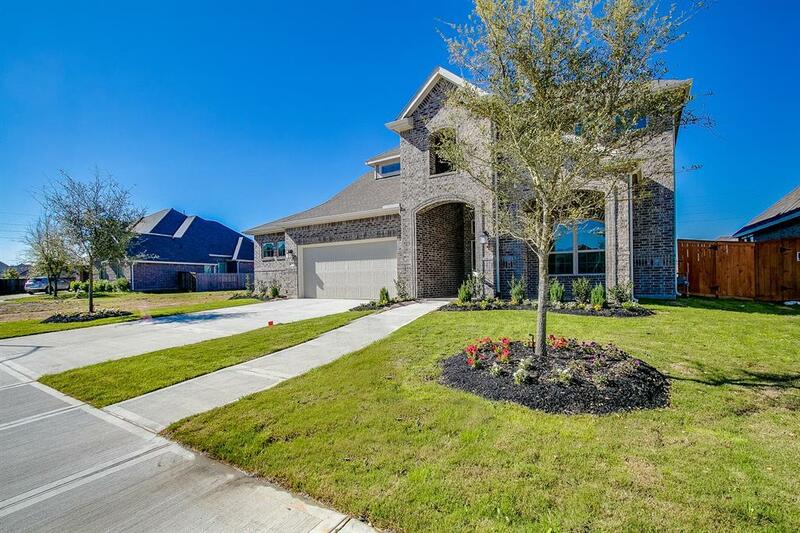 Fully Landscaped w/Sprinkler System, 2 Faux Blinds, Garage Door Opener & much more! Management Company Lobt Association Inc.